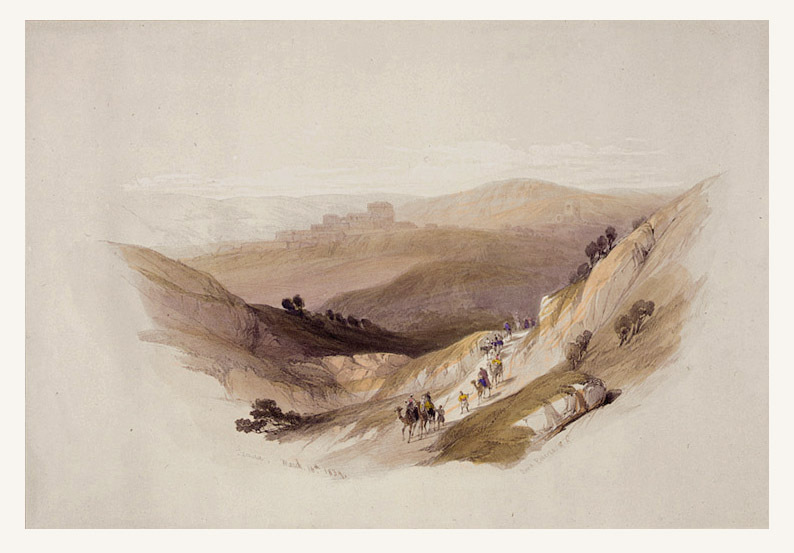 Comments: A half-folio depiction of Roberts' group traveling towards Jerusalem. Condition: Excellent. Text included below image and on verso. Paper : 16 1/2" x 24"
Image: 9" x 13 1/8"